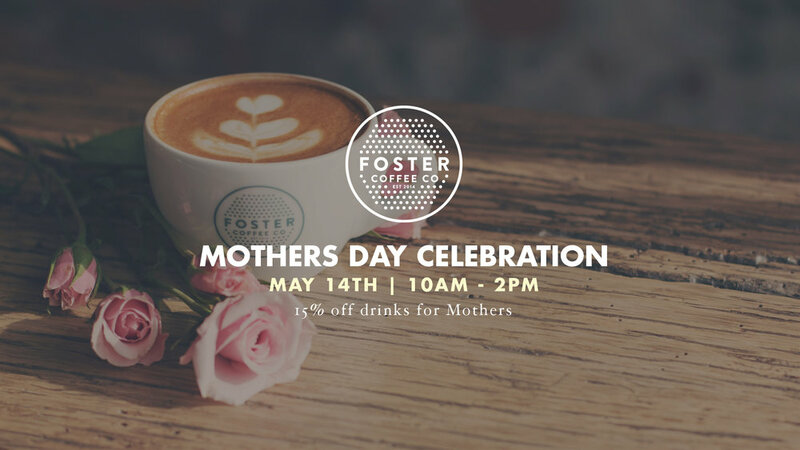 Celebrate your mother with a date or quick trip to Foster Coffee. We're open during select hours of 10am - 2pm, offering 15% off all drinks for mothers. Moms can also enter for a chance to win a "pamper package" which includes a sampling of Owosso business products and services.